Why do the Spirituals Concerts continue to be popular after so many years? “That’s where the Gullah spiritual makes its impact,” Ann Caldwell explains. “It calls people to be part of the music; rather than sitting passively on the sidelines, it invites them to connect with the words and those around them. 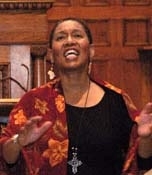 Take ‘This Little Light of Mine’—it’s an invitation to stand up and let that light shine—audiences love it because they can relate to the message.” It is not uncommon for the group to branch out in the course of a single song, each singer varying verse, tune, and tempo, to weave what Caldwell describes as “a tapestry of music.” In the tradition of the Gullah spirituals’ call and response pattern, the Magnolia Singers invite Drayton Hall audience members to join in! For the second time ever, the spiritual concerts will take place in the raised English basement of the main house and will be staged to take advantage of the atmospheric properties of this exceptional architectural feature. Part workspace and part kitchen and storage area, complete with a large brick fireplace, oversized hearth, pantries, and cupboards, the raised English basement (actually the ground floor) of the main house is in an excellent state of preservation. The annual concerts offer an opportunity for visitors to gather at the oldest unrestored plantation house in America and experience music that could have been heard centuries ago in the surrounding fields and praise houses. 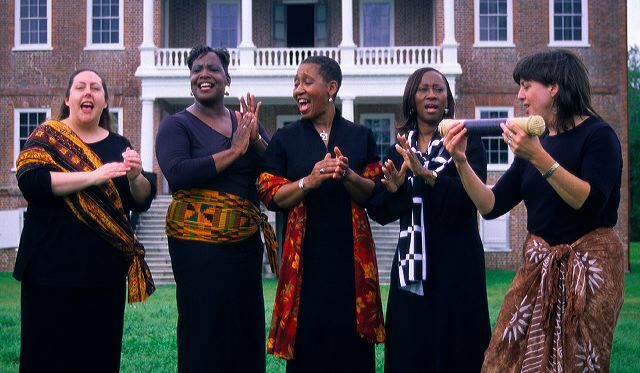 Engaging and moving, the spirituals concerts continue at Drayton Hall as a long-standing Lowcountry tradition. Three performances by Ann Caldwell and The Magnolia Singers, Saturday and Sunday, December 4th and 5th at 3:00pm, with an additional evening concert on Saturday at 5:30pm. Tickets are still $35 for adults and $30 for Friends of Drayton Hall, and include a catered reception and informal tours of the house prior to the performance. Call (843) 769-2608 for information and reservations. For group rates and information, please call (843)769-2630. For more information please visit the Drayton Hall website.